Leaving a legacy in the 21st century Church – still felt around the world. John Wimber was born in Kirksville, Missouri in the 1940s. He grew up entirely outside of faith, as did his wife Carol. He came to Christ at age 29 as a self-proclaimed chain-smoking, beer-guzzling, drug abuser. Some of John’s ability to understand the mindset of non-churchgoers can be attributed to this background, and this awareness is evident in many Vineyard churches today. John traveled the world, seeking to serve the Church by bringing renewal to many denominations and movements. John taught on, and demonstrated, that signs and wonders were for today, and that God wanted to bring healing and expressions of His love and power through His Church. Wimber was a talented musician and producer who played many instruments at studio quality. Before he came to faith in Christ, he was making his full-time living in music. Among other accomplishments, Wimber was involved in the founding and producing of the Righteous Brothers, and was at the top of his career. A profound conversion experience, documented in his testimony, I’m A Fool For Christ, led him to step away from his music career to pursue his relationship with Jesus. After coming to faith, Wimber was a gifted evangelist, leading hundreds to Christ and often overseeing several Bible studies at the same time. Additionally, he was known for his ability to help churches grow through evangelism, and spent time training and consulting with many pastors. Wimber originally came to faith in a Quaker church and was associated with the Quakers for many years. Some practices of the Vineyard today have Quaker-like roots, particularly the tradition of quietly waiting for the Spirit to speak. At the beginning, the Vineyard movement launched in the mid-70s as a small network of church led by Kenn Gullicksen. Wimber wasn’t initially part of this group of founding congregations. During this time period, John and his wife Carol had become spiritually dry. Through Carol’s influence, they began to experience the Spirit in ways often associated with Pentecostal or Charismatic Christianity. This renewal became a turning point in their life and ministry. In 1977, John started a Calvary Chapel in Yorba Linda, California. The church was associated with Calvary Chapel until 1982, when it separated from Calvary Chapel and quickly became the flagship church of the Vineyard movement as the newly named Anaheim Vineyard. 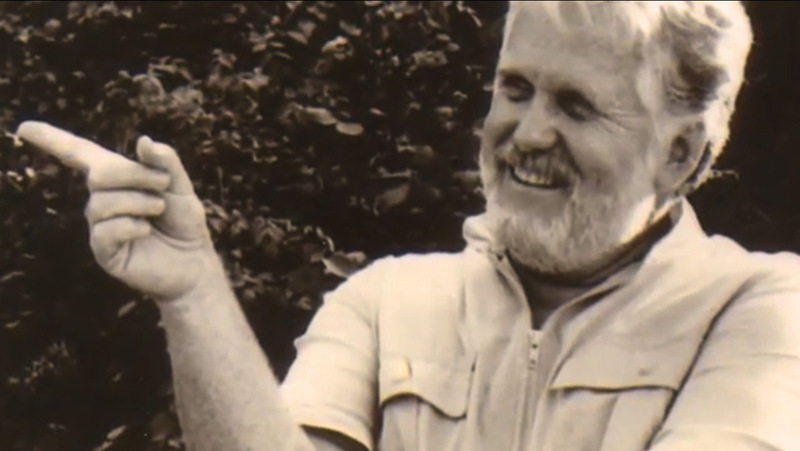 In the early 80s, John Wimber took the leadership of the Vineyard churches, and proceeded to plant hundreds of churches in the coming decades, first in the US, and then globally. Wimber became convinced of God’s healing power and spent months encouraging his church to pray for the sick. They prayed for hundreds of people who never got healed. Eventually, God began to use John and other members of the Anaheim Vineyard to supernaturally heal many people. John would travel around the world teaching and demonstrating God’s healing power. Theologically, Wimber is best known for applying George Ladd’s theology of the kingdom of God to healing ministry. Ladd developed the idea that the kingdom of God is a reality that is both present in our midst, but not completely present. Or, in other words, it has an “already” component and a “not yet” component. We experience some of the goodness and power of God in the present, but we also wait for the day when God establishes His kingdom fully. In application to healing, Wimber saw that this theology could help explain why we might sometimes see God heal people, but we don’t see all people healed all the time. Wimber was passionate about equipping people for ministry. His most well-known book is called “Power Healing,” and it contains the simple message that God wants to use ordinary people to touch the lives of others who are sick or in need. He also wrote books about evangelism, hearing from God, dealing with suffering, and spiritual growth. Wimber taught classes at Fuller Seminary, most notably a course in the early 80s called “Signs, Wonders, and Church Growth.” This class was famous and somewhat controversial. Many people experienced the present day work of the Spirit for the first time in this class. Vineyard churches were well known for their music. Rather than writing traditional church hymns, they wrote songs in the rock-n-roll style of their time. In the early 80s, this was considered somewhat revolutionary. Vineyard worship music has always been known for its sense of intimacy – singing simple love songs to God. Vineyard churches also became known for eschewing traditional church formalism. Rather than dressing up for church, Vineyard church attenders were welcome to wear jeans, shorts, sandals, or whatever made them feel comfortable. This was then considered quite unusual, though it has now become quite common. Additionally, Wimber encouraged his churches to avoid using religious, insider language, and instead wanted church to be down-to-earth and accessible. One of Wimber’s most famous sayings was “everyone gets to play.” He was strongly suspicious of the professionalization of ministry, and wanted ordinary people to feel equipped to participate in God’s kingdom. Wimber was always very open to what new thing God might be doing. This led to his openness to the work of the Spirit that was one of his great legacies. Sometimes this caused him trouble—particularly in the late 80s and early 90s when the Vineyard movement moved in some directions that, from a distance, seem to have been rabbit trails that confused some about what the focus of the movement was. At the same time, these incidents modeled the willingness to try new things even if at times they are messy. John was plagued by health problems in his later years and died in 1997 from a brain aneurysm at the age of 63. Wimber’s most significant legacy is the Vineyard movement, but he left a broad impact on evangelicalism in the US and abroad. He pioneered a new openness among mainstream evangelicals to the supernatural, present day work of the Spirit in a way that had previously only been known in Pentecostal and Charismatic streams. Hundreds – if not thousands – of respected leaders all over the world would probably consider John a significant influence in their life. We simply believe that God is speaking and acting through ordinary people today. We are the Vineyard – join the movement!